Looking to reach this powerful demo during Super Bowl LI, marketers used everything from nostalgia to humor, writes AARP's VP of marketing, sales. Also during the Super Bowl, Honda featured actors Viola Davis, 51, Steve Carell, 54, Robert Redford, 80, comic book creator Stan Lee, 94, and basketball legend Magic Johnson, 57. The spot shows their high-school yearbook photos coming to life to talk about following dreams. Honda celebrates Boomers’ accomplishments and enables them to look back with pride on all that they’ve achieved, making it a strategic win. And 73-year-old actor Christopher Walken teamed with 36-year-old singer and actor Justin Timberlake in a winning spot for Bai beverages. In his signature dry manner, Walken recites a spoken-word version of the lyrics from Timberlake’s hit "Bye Bye Bye" with *NSYNC. "I don’t want to make it tough, I just want to tell you that I’ve had enough. It might sound crazy, but it ain’t no lie, baby, bye, bye, bye." Get it, Bai? The key to success is Walken and Timberlake bridging the gap between the generations. Mercedes is not the only luxury brand targeting Boomers. In recent years, other brands like Louis Vuitton, Kate Spade, Saint Laurent and Marc Jacobs have connected with those 50+ by featuring models in their 60s, 70s and as old as style icon Iris Apfel in her 90s. All of these campaigns are smart moves for marketers of high-end products who want to reach those 50+. The demographic now accounts for 51 percent of all consumer spending, and they make up 57 percent of spending on new vehicles. Perhaps more importantly, Boomers have the money to afford luxury items. The median net worth of those 50+ is $304,000, 75 percent higher than that for people 18 to 49. Feature their peers. Peter Fonda is the epitome of cool whose image Boomers aspire to because he maintains cachet at an older age. Similarly, actress Helen Mirren, who represents women who age with fierceness and style, has been featured in spots for Budweiser and L’Oréal. They may not relate to a Millennial selling a product they like, but show them someone their age and those 50+ will respond. Aim for sentimentality. Using Steppenwolf’s music and "Easy Rider" instantly creates a frame of reference to Boomers’ younger days. Last year, an Audi Super Bowl spot featuring David Bowie’s "Starman" struck a similar chord and became more relevant with his unexpected death at 69 the month prior. Employ the soundtrack, films and cultural touchstones of their generation and nostalgia will work in marketers’ favor. Show vibrant, active actors. Today, people 50+ view this stage of their lives as a second act full of promise. They travel, exercise, maintain healthy lifestyles and are involved with their grandchildren and their many activities. The percentage of gym members age 50+ has doubled from 15 to 31 percent since Boomers began hitting the big 5-0. 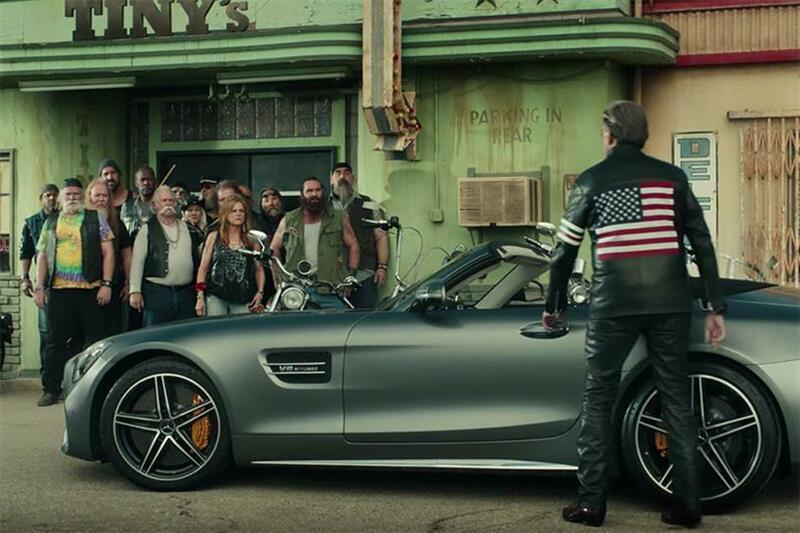 In the Mercedes spot, they may need reading glasses to see the jukebox titles and may hurt their shoulders while fist-pumping, but they—and the iconic Fonda—are "still lookin’ good," having fun and living their lives. The bottom line? These Super Bowl spots show how effective marketing to Boomers can be, especially when selling luxury goods. These consumers may be 50+ but they still see themselves as "Born to Be Wild." —Patricia Lippe Davis is AARP's VP of marketing, sales.